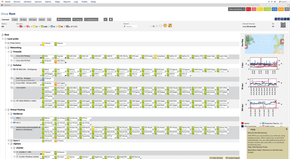 PRTG is the powerful and comprehensive network monitoring solution from Paessler AG. It monitors your network using a whole range of technologies and assures the availability of network components and measures traffic and usage. PRTG saves costs by avoiding outages, optimizing connections, saving time and controlling service level agreements (SLAs). Freeware edition can be used for up to 100 sensors.